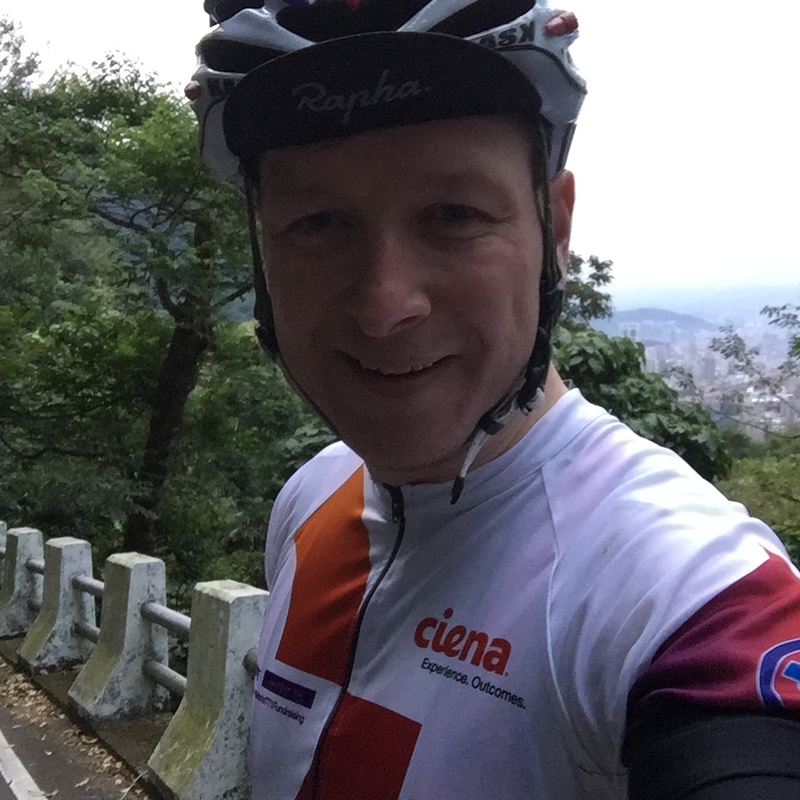 This week I have been out in Taiwan on a business trip. With the Haute Route charity ride looming on the summer horizon I cannot afford to slacken up on time on the bike. So I googled cycling in taiwan to see what the results suggested. 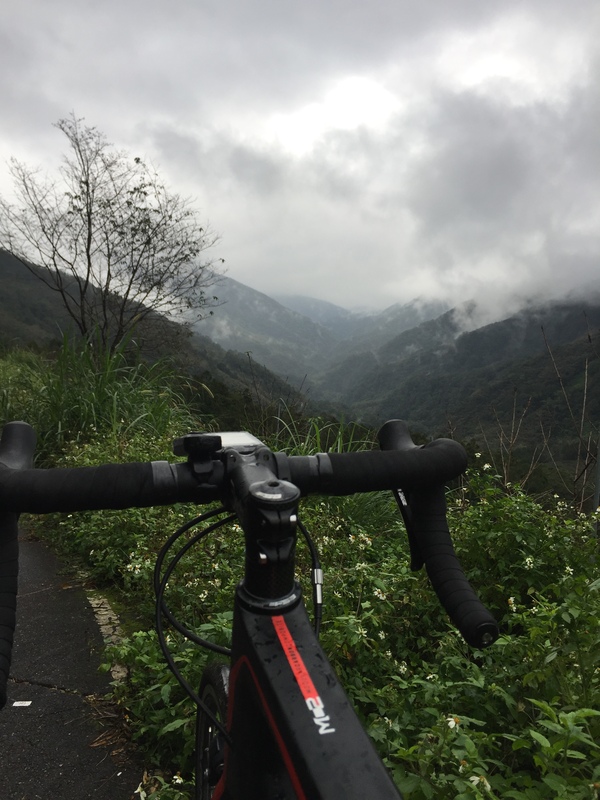 After looking on a couple of resources like David’s guide to cycling in Taiwan I decided it was worth trying to sort out some cycling. In Taiwan at this time of year the weather should be ok, around mid 20s Celsius, potential for a bit of wind or rain or both but should definitely be warmer than in the UK. 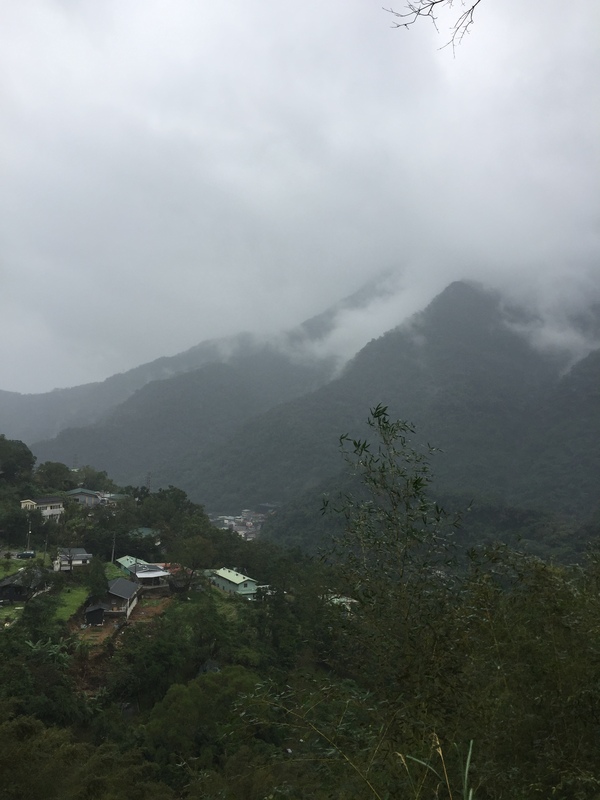 Also there was the lure that Taipei, where I would be staying is surrounded by decent hills. A perfect way to get back into training for the climbs of the Alps. With the added advantage of a decent luggage allowance on Emirates and a good friend who lets me borrow his bike box, (thanks Matt), the decision was made. I would take the bike and work on the chance of getting in some early morning rides before the working day began. I was counting on jetlag kicking in. I arrived on Wednesday evening into Taipei and after checking in, set up the bike, pumped up the tyres as best I could with my pocket pump and headed out in search of a bike shop to pump up the tyres properly (also have a good look around the bike shop and the city). Cycling in the city of Taipei itself. A lot of the pavements are available for dual use (pedestrians and cyclists), but are clearly marked in terms of pedestrians having priority (rightly so, they are the most vulnerable). The net result is that it is really only for very slow cycling around the city. The cycle paths weave their way around bus stops and subway exits, around which the cyclist must be extra extra careful. The scooters……. I’ll come onto these in a moment. The best way I have found in the last couple of days to get around the city on a bike is to take the most direct and shortest route to the riverside segregated cycle lanes (which are excellent), and then use the cycle ways to make your way around. Beautifully paved and on the whole maintained meticulously well, these lanes for runners and cyclists criss-cross the city along the rivers which do the same. One morning I went out for a city ride along these routes and encountered hundreds of people using these riverside spaces for their morning exercise, running, walking, cycling and Taichi/yoga. It was really quite pleasant being a part of it. As a fairly confident city cyclist, working in London, one becomes practised in moving around the traffic, I spent most of the time when cycling in Taipei on the road rather than on the pavements, but this is where one has to watch out for the scooters. They are everywhere and in their thousands on the city streets. It isn’t particularly pleasant being in a group of these scooters at the traffic lights as those are not efficient engines. However I am told that Taiwan is investing a lot in electric scooters with subsidies available for ownership. I did see one or two out on the roads but there is a long way to go to get the scooters switched over which would drastically help the pollution in the city. I quickly learned to get as quickly as possible to the cycle routes along the river and then enjoy the riding. I was only in the city for a few days on a business trip and so I planned a couple of rides taking into account recommendations for local english speaking websites around the city. This time of year (January) it gets light around 6.30 in the morning and dark at 5.30 in the evening, so I planned that I would go out for an hour or two in the morning, leaving the city before daybreak (also avoiding the major rush hour traffic). Although the weather hasn’t been amazing, one day it was 22deg but then the temperature has dropped to between 10-13 degrees I was able to get to out of the city. The first morning, as predicted jet-lag set in (or my body clock did) and I was awake at 3.30am. 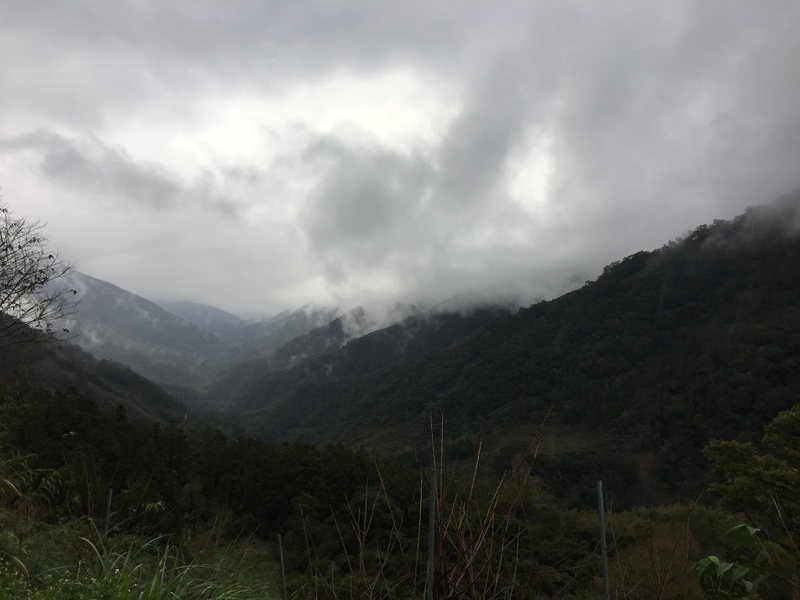 Still being three hours from daybreak I sorted out a few emails from work and slowly got ready but ended up on the road before 5am and headed north to Yangmingshan Nature reserve. Had the weather been better I would have been treated to sunrise at 1000m (climbing from sea level). However the view from the top was somewhat restricted by the cloud and rain I had been in since 400m elevation. Nevertheless as the cloud broke a little I was treated to a lovely ride. Also reminded me of just how far I have to go to prepare before August. There is time to get ready but I certainly felt the gradients in my legs. 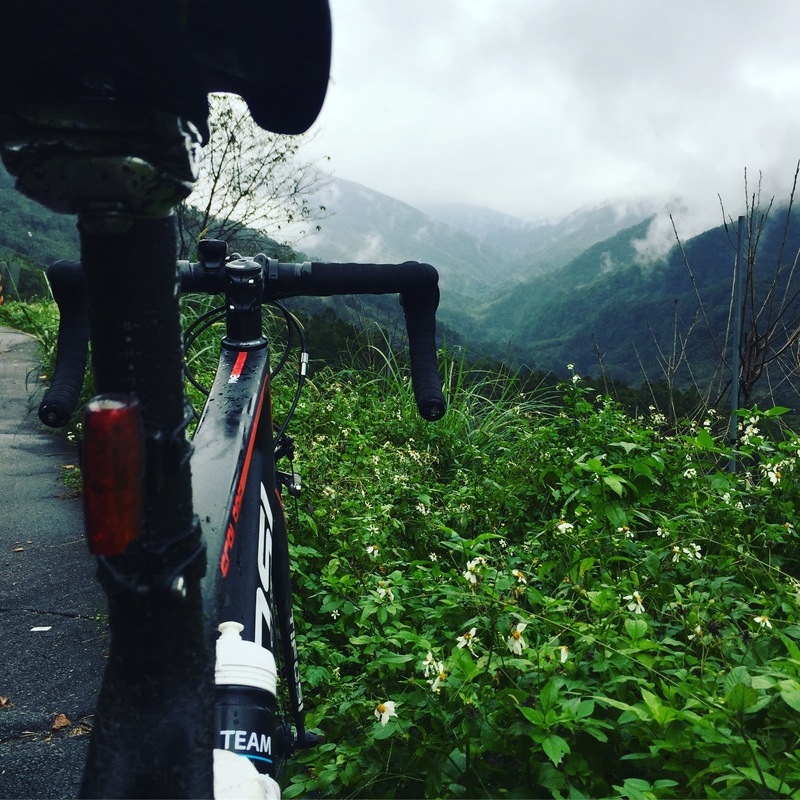 Having a bit of extra time on Saturday before my flight home I planned a slightly longer ride and headed south to another popular place for cyclist, Wulai. Again the weather wasn’t great and the roads were quite slippery but still didn’t spoil the enjoyment of climbing again on the bike. 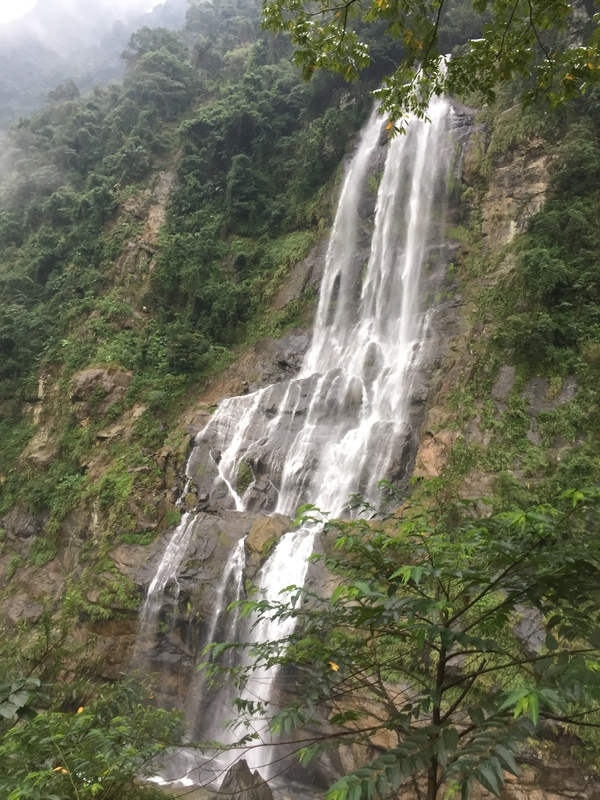 Originally I had planned to go just as far as the waterfall but my legs were feeling ok so decided to keep going up the valley to the end of the road at Fushan. I stopped at the waterfall on the way back down to grab a hot chocolate and chatted away to the friendly cafe owner. The Relive video of this one is quite good. 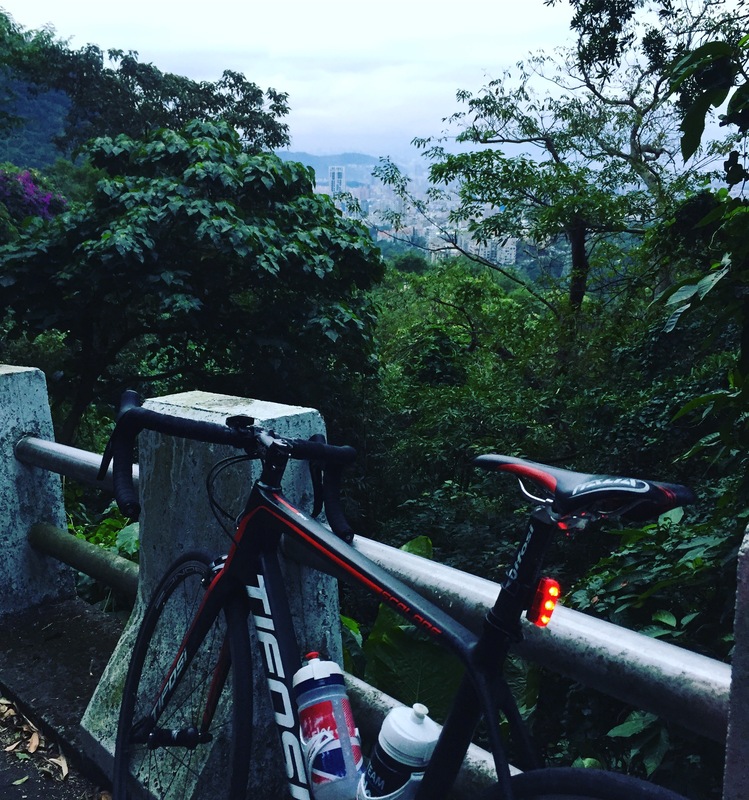 From my few days in the city here on business with limited time to get out on the bike, this is only a fleeting glance at cycling around Taipei, however from my first impressions I have no hesitations in recommending sorting out a bike and riding in Taiwan. I hope one day the opportunity presents itself again that I can come back with my bike and ride further afield. The taster of this small part (where I am told this is not the best cycling by far) has wet my appetite for more. Speaking of appetite, the food here is exquisite and reasonably priced, that is a topic for a whole other post. Next Next post: Training must follow my work..